Insurance for Restaurant Owners - Lanes Insurance Inc.
Those of us in Alberta are lucky enough to have access to a number of amazing dining establishments, many of which are among the best in the country. In December of 2018, the Internet reservation service OpenTable released its yearly rankings of the 100 best restaurants in Canada, compiled from data gleaned from more than 500,000 reviews of over 2,500 restaurants. Calgary came in a respectable second place out of the entire country with a total of 16 on the list, behind Toronto’s 47 and ahead of Vancouver’s 12. Edmonton had four establishments recognized, and Banff had one, to add up to 21 in this province alone. Restaurants are big business, bringing in well over $700,000 monthly in Alberta, according to a May 2018 article by the Calgary Herald. In fact, restaurant receipts reached an all-time high in this province last year. Restaurants Canada reports that the industry generates $80-billion in revenue annually, making up four per cent of the country’s economic activity, and restaurants employ 1.2 million people, which is close to seven per cent of Canada’s workforce. Bringing good food to people’s tables is a labour of love, but it’s also a bit of a risky business. It can be intricately tied to the economy, which often can’t be predicted. And sometimes, for no real reason whatsoever, even the best restaurants can fail. If you are a restaurant owner, proper restaurant insurance can be your safeguard against incidents you simply can’t control or plan for. Commercial general liability insurance is an essential part of any restaurant insurance policy. It is your way of ensuring you, your restaurant, and your employees stay operational if something goes wrong. Without liability coverage, you would be on the hook to pay if your business’s actions — or lack of appropriate actions — cause injury, illness, death, or other losses. An example of when a restaurant owner may be found liable is if someone gets sick after eating improperly prepared food. Another example may be if someone slips and falls on your property and the incident can be blamed on something like ice in the parking lot or spillage on the floor. A commercial general liability policy is your way of mitigating the expenses associated with settling for damages. If, unfortunately, the dispute ends up before the courts, as we all know litigation is more than expensive enough to sink a business, so commercial general liability insurance is vital. Liquor liability is a form of restaurant insurance that covers those who sell liquor for profit. We all know the dangers that are involved with drinking, and if someone has been drinking in your establishment and injures themselves, you could be found liable. Additionally, if someone is injured by a drunk driver that can be proven was served at your restaurant, you could also be found liable. Bars and restaurants can also be sued for over-serving alcohol. Generally speaking, liquor liability insurance limits range from $1 million to $5 million, however it’s advisable to speak with a qualified insurance broker to ensure you have enough coverage. Restaurant owners spend thousands and thousands of dollars purchasing quality food and drinks to serve to their valued customers. Power outages, floods and fires can result in huge losses, as food cannot be refrigerated or stored properly. Food spoilage insurance is the restaurant owner’s safeguard against this. Even with regular maintenance, there’s no telling when essential equipment will break down. And if you have tables full of customers, a broken oven is a disaster. Equipment breakdown insurance covers for losses incurred due to the electrical or mechanical breakdown of nearly every type of equipment, and applies to the cost to repair or replace the equipment and any property that may have been damaged. Also covered is income lost and expenses sustained. 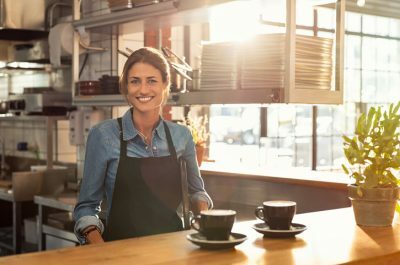 There are a number of options for business insurance in Alberta that can be tailored to meet the needs of companies big and small. If you are just starting out, Lane’s Insurance Calgary’s insurance brokers are trained to ask the right questions about what you do and who you are so that you can begin your entrepreneurial journey knowing you are completely covered. For additional information about business insurance, have a look at our Most Commonly Asked Business Insurance Questions.